Trump implies, re: Mika Brzezinski, that he controls National Enquirer. 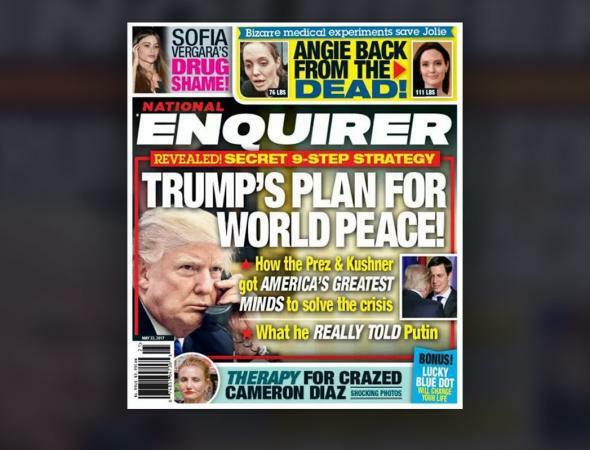 A sample of the Enquirer’s objective, reasonable Trump coverage. Photo illustration by Slate. Photo by National Enquirer.